The Champions League draw will be made on Thursday evening, as Man Utd are amongst several European heavyweights awaiting their fate. Naturally, all concerned will be desperate to avoid being placed in the so-called ‘Group of Death’ which pits some of the top teams against each other so early in the competition. However, after the pots were confirmed, there is every chance the Red Devils could be given a nightmare draw and a really difficult path through to the knockout stages. As per Sky Sports, Man Utd will be in the second pot for the draw, and of course they won’t meet any other Premier League sides at this stage of the Champions League as they will be kept apart. That doesn’t necessarily help them though, as based on the pots below, United could feasibly end up with one of Real Madrid or Barcelona from the first pot, along with Monaco and Inter from pots three and four respectively. So that’s potentially either the holders or La Liga champions, along with two of the most talented sides in France and Italy respectively who boast several dangerous and talented players to ensure United would have their work cut out to advance. For a club of the stature of United, they won’t shirk away from any challenge. 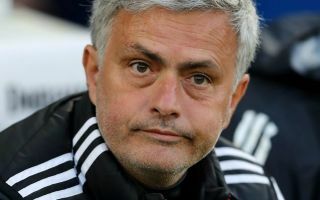 However, given their struggles in the Premier League so far this season, the last thing that Mourinho needs is to be handed a tough assignment in Europe too which could only serve to pile further pressure on his shoulders. As per The Express, Zinedine Zidane continues to be paired with becoming the Portuguese tactician’s successor, and so time will tell if he’s able to lead Man Utd on a memorable European run this time round after their disappointing exit to Sevilla in the knockout stages last year to safeguard his position at Old Trafford. FIRST POT: Real Madrid, Atletico Madrid, Bayern Munich, Barcelona, Juventus, Lokomotiv Moscow, PSG and Manchester City. SECOND POT: Borussia Dortmund, Porto, Manchester United, Shakhtar, Napoli, Benfica, Tottenham and Roma. THIRD POT: Liverpool, Schalke, Lyon, Monaco, Valencia, PSV, Ajax and CSKA Moscow. FOURTH POT: Young Boys, Red Star, Viktoria Plzen, Club Brugge, Galatasaray, Inter, Hoffenheim and AEK Athens. Possible draw: Real Madrid, Man Utd, Monaco and Inter.